Dalkeith High School launched its new social enterprise project, Food and Forest Co-op, today (Wednesday 30th January) to support its curriculum-led approach to Learning for Sustainability. Supported by Forestry Commission Scotland, the Co-op aims to engage learners aged 14-18 currently undertaking a Sustainability course in practical outdoor learning and global citizenship to help prepare them for future work. 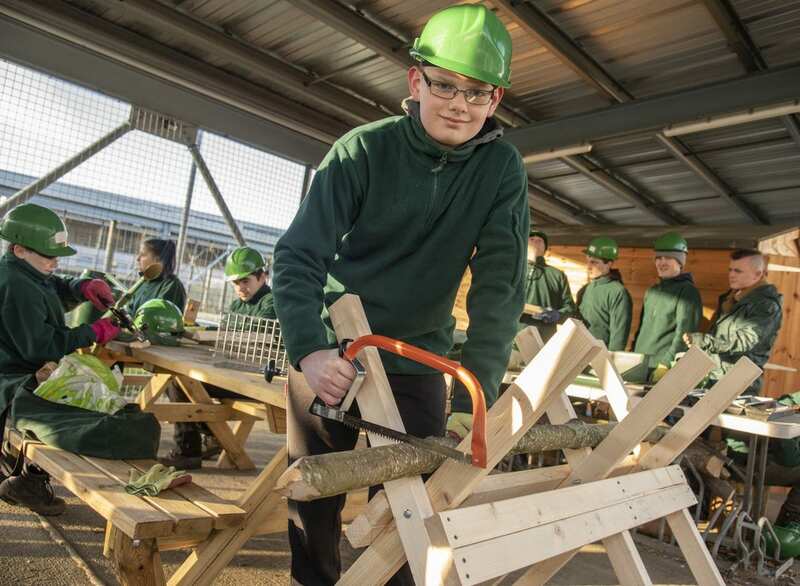 The School applied for funding through Forestry Commission Scotland’s Community Fund initiative, which aims to help groups facilitate greater use of woodlands, whether for education, community benefit, or to improve health and wellbeing. 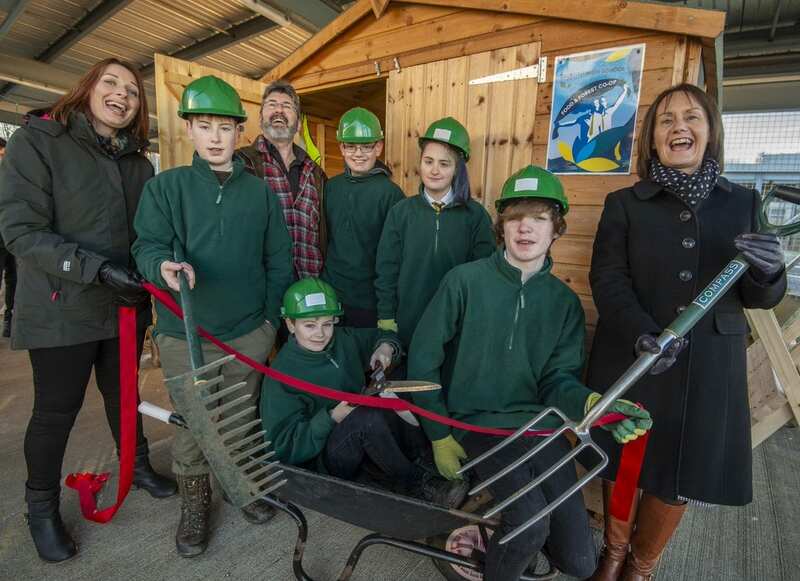 As part of the Food and Forest Co-op, learners will put their greenwood working skills to practice in the School’s on campus Sustainability Hub, as well as manage the surrounding woodlands and community allotment. Trimmings from the woodlands will be used by the learners to create products such as garden lines, pegs and baskets to sell to the public and generate income for the Co-op. Students partaking in the Food and Forest Co-op will be able to achieve various SQA qualifications through the project, including SCQF level 4, 5 and 6 across a range of forestry and horticulture accreditations. The School has partnered with Bowhill Estates to use the local woodland as a teaching resource, as well as BAM, which manages the woodland surrounding the campus, and Midlothian Council to operate the community allotment site.